KW Automotive is always looking to push the boundaries of suspension technology. After achieving massive success with the revolutionary Hydraulic Lift System, KW developed electronically-adjustable coilover kits, the DDC Plug & Play and DDC ECU. Let’s take a closer look at just what features these unique kits include and how they benefit you, the driver. 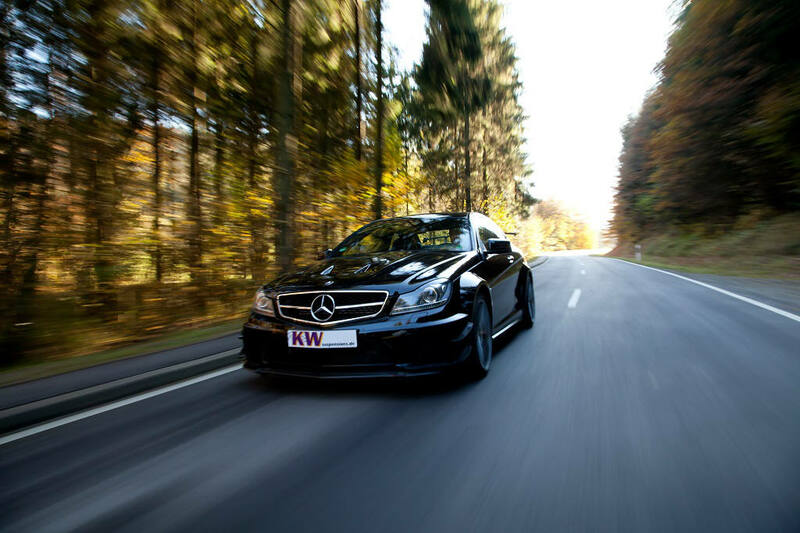 KW DDC stands for ‘Dynamic Damping Control’ which essentially allows adaptive damping control to suit your driving style or road conditions at the push of a button. Dynamic damping is a hugely popular system favoured by manufacturers especially when developing a sports car with the intention to keep it ‘daily drivable’. Dynamic damping let’s the owner choose the way their car handles based on the current road condition (or driving type), fast road driving or simply an unpredictable road surface. 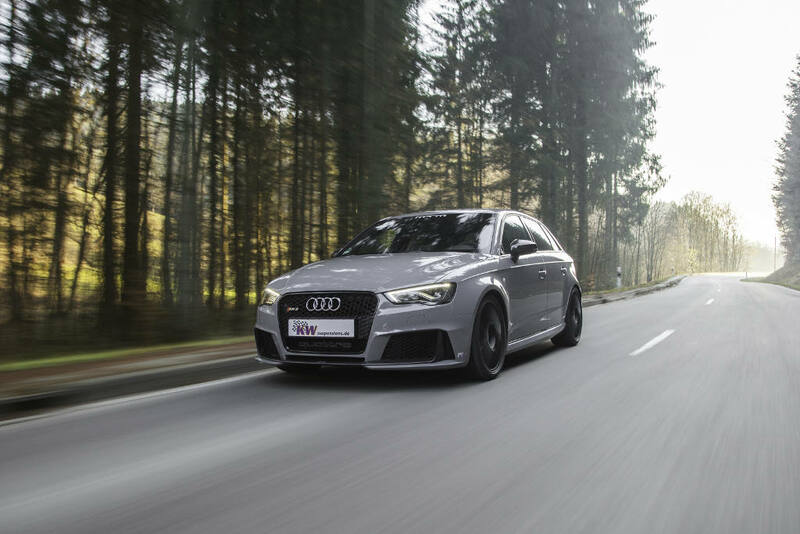 By allowing the ride to be both firmed up and softened, cars such as VW Golf GTI, BMW 2series, Seat Leon and many more cars are equipped optionaly with adaptive suspensions! 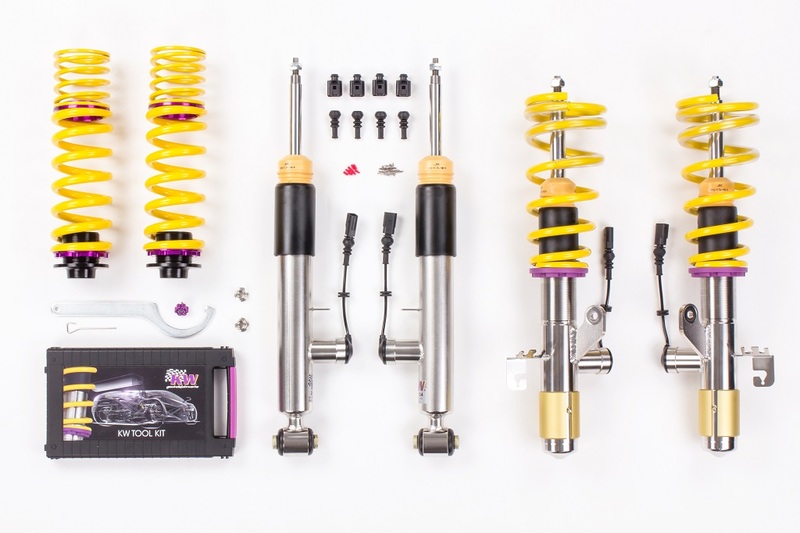 Based on the super-resilient inox-line of coilovers, the KW DDC works just like any other kit featuring a coilover shock construction – a threaded, oil-filled body for height adjustment and the relevant welded brackets to ensure a perfect fit, without the need for additional modification. Height is adjusted by simply rotating the durable collar until the desired height is achieved while the damping adjustment is carried out in a different way – in fact you don’t even need to leave the driving seat with a DDC coilover! 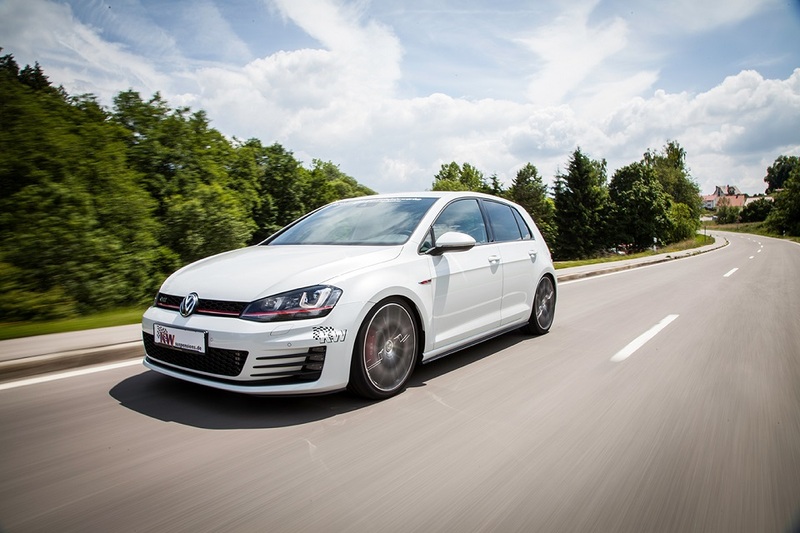 The Plug & Play DDC model has been developed specifically for Volkswagens featuring the Adaptive Chassis Control (Dynamic Chassis Control) as standard (unlike the DDC ECU). 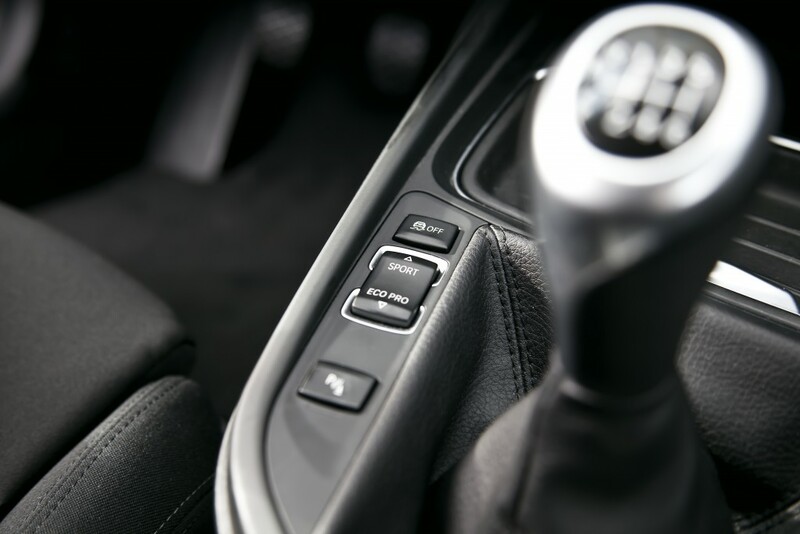 In models such as the new Scirocco, Mk6 Golf, Tiguan and Passat the ACC or DCC system allows the driver to change the suspension damping by pressing a small button located on the centre console. By plugging into the standard control unit (via a connection lead located on the coilover body) the KW DDC Plug & Play Kit allows for 3 different damping options to be selected by using the standard OEM button located on the centre console. 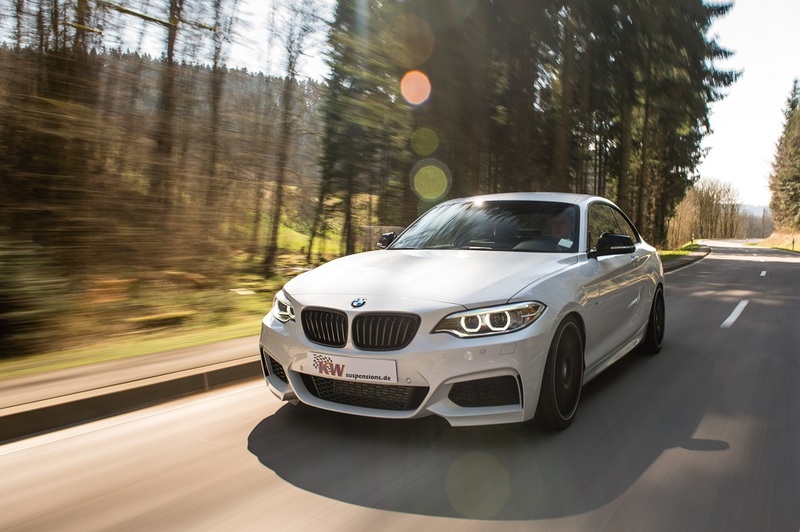 There’s no additional work needed for fitting or any custom tuning of the damping settings that have all been finely tuned by KW – simply hook-up the coilover system and benefit from the following settings. Comfort*: Perfect for bad road conditions or just a relaxed ride on the motorway/freeway. 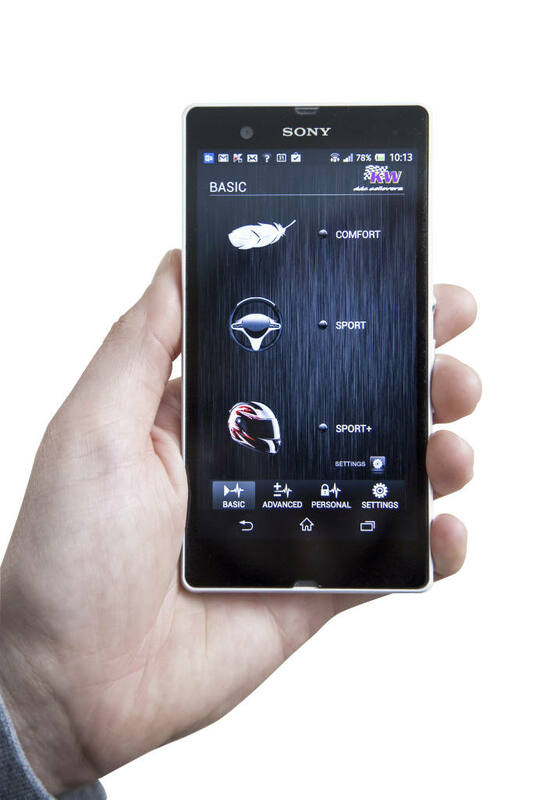 Normal*: Suitable for sporty daily driving giving the best compromise between performance and overall ride comfort. 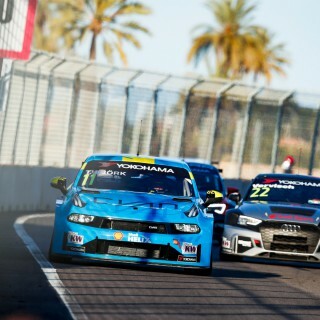 Sport*: The ultimate setting improved handling and response for the road or at the track. * depending on the car systems. 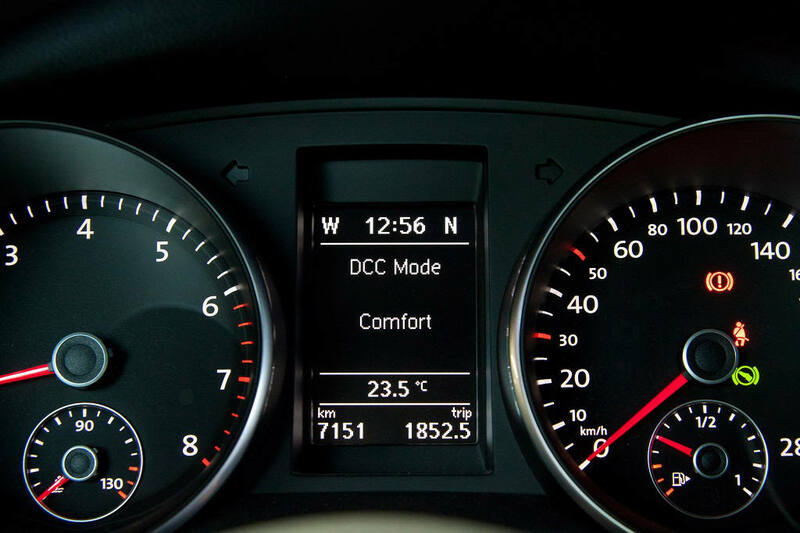 Cars with the VW DCC system have the modes Comfort, Normal, Sport. BMW with EDC have the so called modes Comfort, Sport and Sport+. 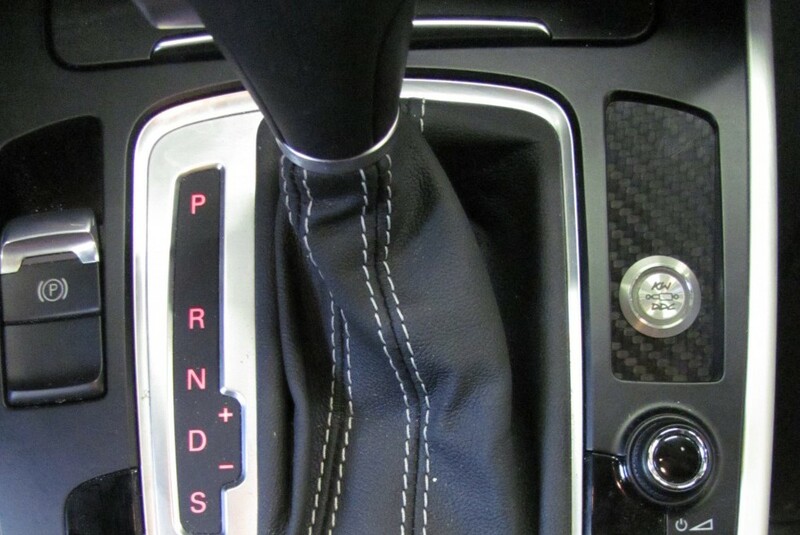 The latest Ford Focus RS isn’t equipped with an active OEM suspension system and the dampers are controlled by the activated driving mode the driver chooses. 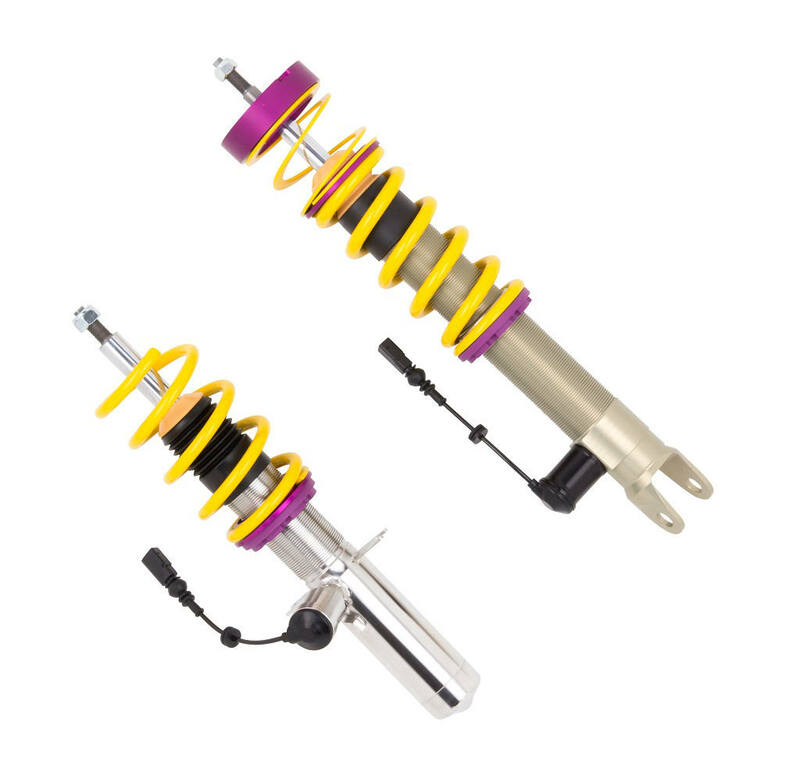 KW DDC Coilover Kit fits just like any other KW System and the Plug & Play’s unique electronic set-up connects by using a single plug per coilover. The DDC system works by electronically adjusting a proportional valve inside the coilover to regulate the flow of oil in the damper. Once connected, the damping can be changed in a millisecond by simply pressing the car’s original ACC button and best of all the selected damping setting is even displayed on the speedo display. This is without a doubt the perfect solution for the enthusiastic driver looking to drastically improve their car’s handling performance without sacrificing any of the superb factory features – another world first for KW Automotive. However for those cars that don’t fall into the Plug & Play category, KW has additionally developed a unique solution to give the same features and benefits without the need for an ACC-style / DDC-style system fitted as standard. The KW DDC ECU (Electronic Control Unit) works by providing its own coilover control unit that can be fitted to any car the DDC is compatible with. 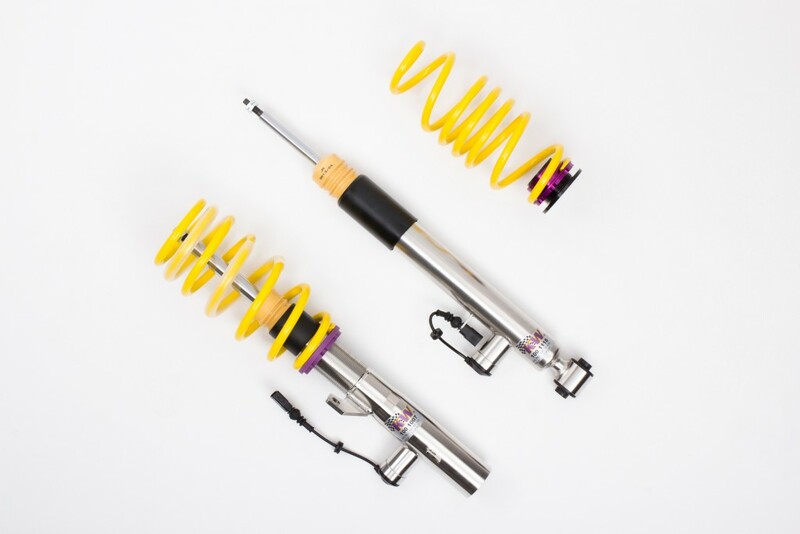 The actual coilover itself features the same technology as the Plug & Play – inox-line construction, height adjustability and electronically operated damping adjustability with 3 different settings. However unlike the Plug & Play Kit, which interfaces with the OEM button, the DDC ECU kit includes its own button for damping adjustability which can be mounted anywhere within the car to give the exact same effect in any car. 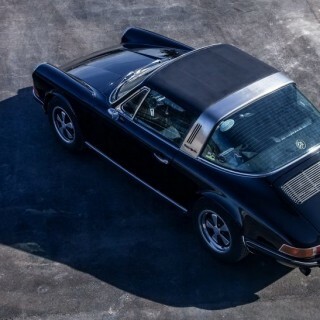 Each coilover features the same electronically adjustable proportional valve complete with external plug connector; however this is then connected to the KW control module supplied within the kit instead of the OEM harness. This control module can be fitted anywhere within your car, however KW recommends the boot area for ease of installation. Comfort: For bad road conditions, or just a relaxed ride. 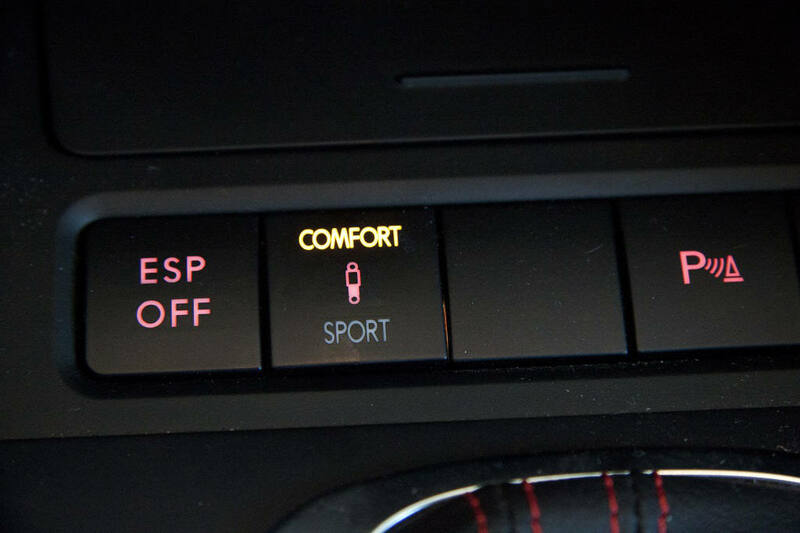 Sport: For sports daily-driving as the best compromise between performance and ride comfort. Sport+: For the ultimate handling and response on the road or at the track. This revolutionary kit means that even cars that don’t feature such key technology such as dynamic damping can now reap the benefits with an easy to install solution from KW. 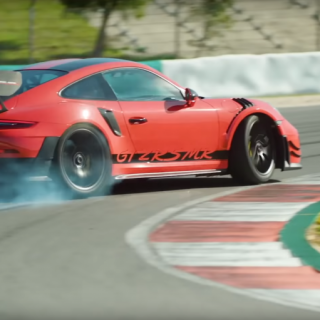 With so many enthusiasts opting to drive their car to and from the racetrack, this is an ideal solution for the long drive back without having to make on-car damping adjustment! 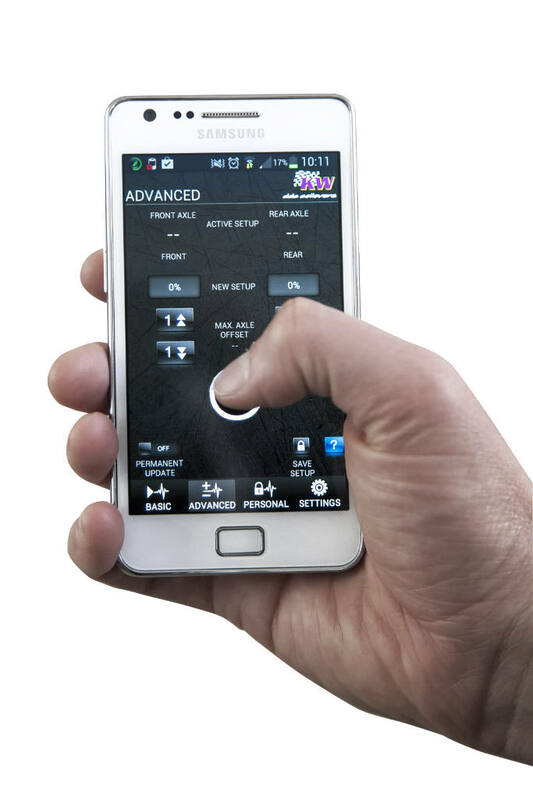 The DDC ECU App – Tune your car’s suspension with your Smartphone! 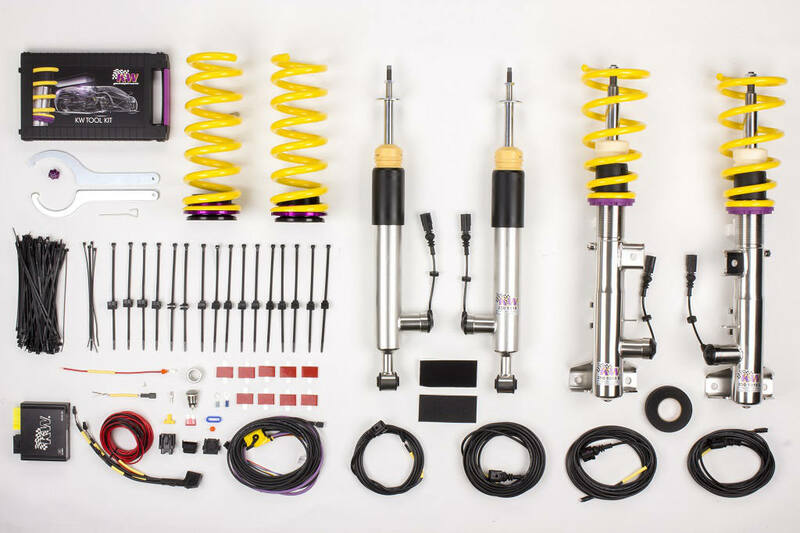 The technology doesn’t stop there, and there’s one final feature the KW DDC ECU Coilover Kit has which truly separates it from every other system out there. Only available for the ECU model, KW has developed an optional DDC W-LAN module to work alongside the ECU kit allowing instant damping adjustable through a KW-developed application suitable for smartphones (iOS and Android compatible) like Apple iPhone, Samsung Galaxy, Sony Xperia and many more. By transmitting a wireless signal via the W-LAN module within the car, the KW DDC application allows your iPhone to pair directly to your car and adjust the damping with even more precision and ease! Once connected, each driver can save up to five individual set-ups that additionally can be shared via e-mail – perfect if you regularly race at different circuits or want to share your setup with a friend. With the application loaded, each axle can be adjusted between 0% (maximum comfort setting) and 100% (maximum sport setting) allowing every surface, track or road condition to be perfectly setup in real-time depending on what damping the driver requires. Available to download from the Apple App Store and taking just a few seconds to install, it’s never been easier or simpler to fine-tune your car’s suspension system.